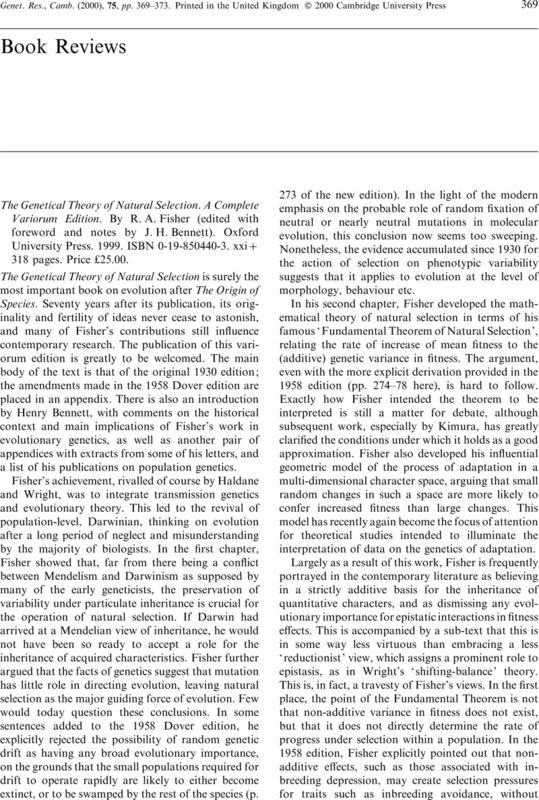 The Genetical Theory of Natural Selection. A Complete Variorum Edition. By R. A. Fisher (edited with foreword and notes by J. H. Bennett). Oxford University Press. 1999. ISBN 0-19-850440-3. xxi+318 pages. Price £25.00.